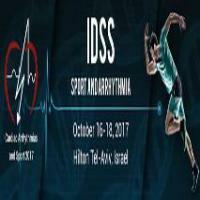 IDSS Sport and Arrhythmia 2017 will provide a unique platform for professionals to discuss a wide range of topics related to sport and cardiac arrhythmias. IDSS Sport and Arrhythmia 2017 program is designed to meet the continuing education needs of cardiologists, sport and family physicians, general practitioners, military and rehabilitation physicians, orthopedic surgeons, physiotherapists, technicians in fitness centers, athletic trainers and allied health professionals. The Symposium will put a spotlight on the following topics: reasons for sudden cardiac death in athletes, screening programs and ways to prevent SCD, physiological and pathological processes related to sport activity leading to anatomical and electrical remodeling of, the contemporary approach to eligibility and disqualification from sports participation in patients with inherited arrhythmic disorders or congenital heart disease, sport activities in amateur athletes with structurally abnormal hearts, cardiac implantable devices in athletes and other hot topics. Don't miss the opportunity to join peers and key opinion leaders in Tel Aviv, Israel, October 16-18, 2017. Get a head start, visit IDSS 2017 website.